Ensuring sustainability is an important principle for INASP and one that we are keenly reflecting on as we near the end of our five-year Strengthening Research and Knowledge Systems (SRKS) programme. Within SRKS, our AuthorAID project helps build research writing skills in the Global South. In this work an important way to improve sustainability is to ensure that support for research writing is embedded in Southern institutions. 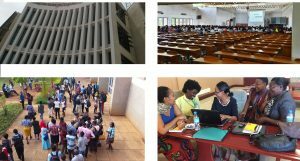 Over the past five years, therefore, we have been working with 10 partners in Tanzania, Ghana, Sri Lanka and Vietnam to develop institutional capacity in research writing, with the aim of increasing the level of research being produced, published and shared. In December, it was a privilege to bring together some of these partners at a meeting in Sri Lanka to share experiences, challenges and achievements. With the current five-year funding for AuthorAID set to end in March 2018, we not only wanted to support our partners in addressing any outstanding issues, but we also wanted to build a deeper network of support between all of them. Each partner has adapted AuthorAID in the way that works best for them, and many of these experiences were shared at the December meeting. 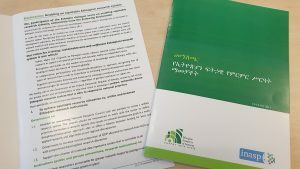 In 2014, when the Tanzanian Fisheries Research Institute (TAFIRI) started to work more closely with AuthorAID, the team of researchers involved set an ambitious target: 120 peer-reviewed publications from the research institute and its regional offices by 2020. They realized that it would not be easy and were unsure whether the target was too tough. However, at the time of the December meeting they had already achieved 98 papers towards their target, as well as 17 research proposals accepted. This was an important milestone because, as a small research institute with regional offices, TAFIRI undertakes research that could have a significant impact on the lakes and coastlines of Tanzania, but it has in the past struggled to see this research published. 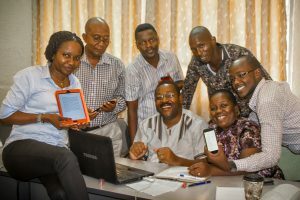 Working with the AuthorAID team, TAFIRI launched an online course platform to reach its researchers in regional centres outside Dar es Salaam. Going a step further, in 2017, TAFIRI optimized its online platform for mobile compatibility, allowing researchers undertaking field work to train and access resources and support, even while in rural or remote locations. This one small innovation shows how a large university like OUT can still get around bureaucratic or institutional constraints to create success in different ways. Since 2015, OUT has seen academic proposals and journal articles increase and it has fully embedded the course in the curriculum. This has also led to some positive side effects: ICT and IT skills have been improved along with online facilitation skills, and there has been encouraging and increasing numbers of women participating in online courses. Other partners in Tanzania, like the Muhimbili University of Health and Allied Sciences (MUHAS) and University of Dodoma (UDOM) talked about the ways they have managed to encourage and motivate their universities to put some funding behind the work and fully integrate it into the professional development curriculum, ensuring continued access to training. Writing clubs have been an important feature of work by AuthorAID partners in Sri Lanka. At the meeting, Dilshani Dissanayake of the Research Promotion and Facilitation Centre (RPFC) of the Faculty of Medicine, University of Colombo shared how the centre designed a writing club model to encourage support following a workshop. The model has been a success and has resulted in an increase in important clinical research being published. From the beginning of this work in early 2013, the RPFC has worked hard to share resources and experiences with other universities in Sri Lanka. In addition to an initial partnership with the Sri Lankan Medical Network, RPFC also supported the University of Peradeniya to kick off an embedding programme in early 2017. As a result, the two universities work closely together, although interestingly Peradeniya has designed its own approach to writing clubs, changing the model to tailor to the needs of its researchers by supporting them to write an article from start to finish. In Vietnam, Thai Nguyen University has had some of the most successful online course completion rates. The team at the university believes these rates are the result of time spent understanding what such a programme would need to look like at this university to be successful – in the end, they realized the programme needed both prestige (senior support and facetime at workshops) and engagement online (achieved via a kick-off meeting ahead of time). 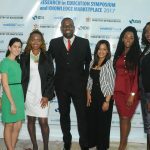 In Ghana, the Council for Scientific and Industrial Research has worked to increase access to workshops in research writing; capacity has started to be created at seven regional institutes outside the capital of Accra, decentralizing the need to travel to the capital city for training, and thereby improving overall access. 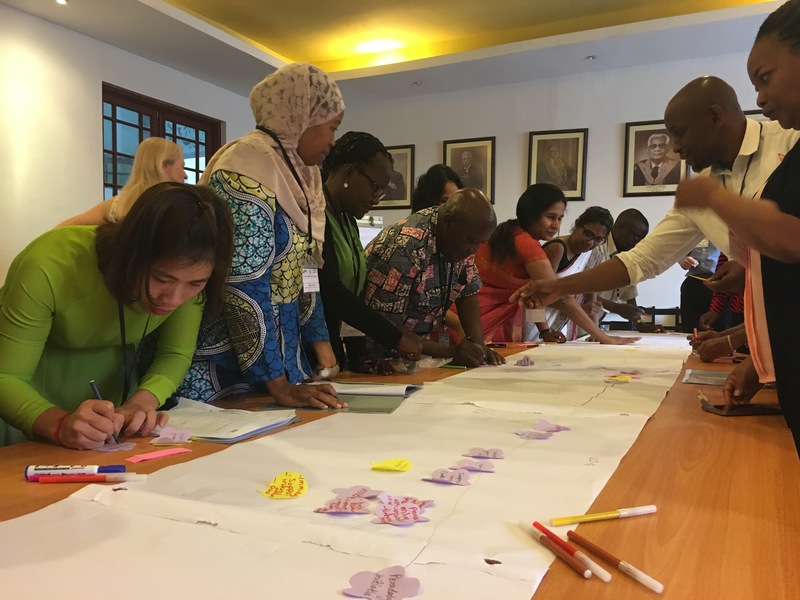 As well as sharing their individual experiences, the AuthorAID meeting enabled partners to build a collective timeline of their involvement with AuthorAID from 2013 to 2017, outlining programme milestones, any obstacles faced, and ways they were overcome. I’m not sure we could have summed it up better ourselves.